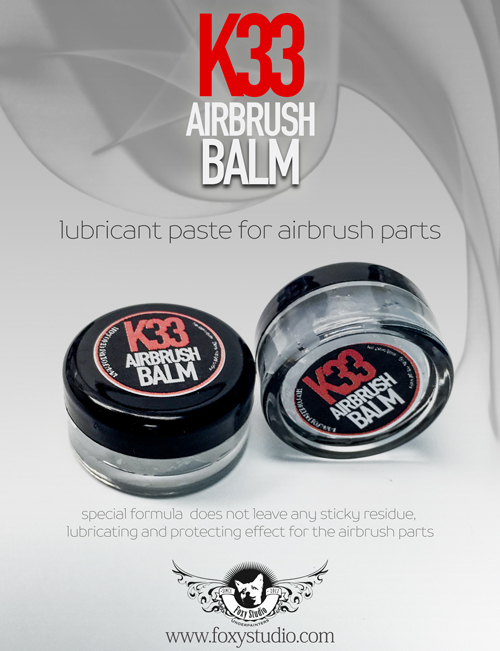 The K33 Balm is a lubricant creme that protects and lubricates the airbrush parts. Great for keeping the needle action always smooth and responsive, the definitive solution for these “lazy” trigger levers that aren’t snappy anymore. Another NEW amazing exclusive product by Foxy Studio. It is a special colorless formula, pure, unalterable. Does not harden, does not yellow, does not oxidize, does not stain and most important, does not leave any sticky residues on the parts. 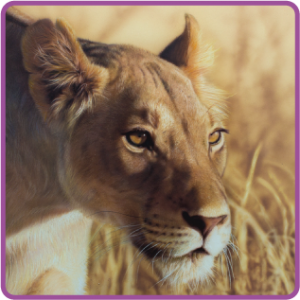 It reduces friction and prevents locking of mechanical movements of the airbrush parts. 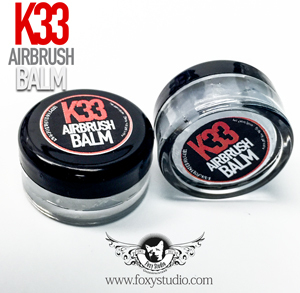 The K33 Balm is harmless to people and the environment. It protects the materials against corrosion and maintains excellent functionality rubber parts like o-rings. A little 5ml jar it looks like it’s gonna be empty tomorrow uh! You will be amazed to actually see how little of Balm is needed to keep your airbrush in perfect shape!! One Balm jar can serve your airbrush for years. Use a plastic or wood sharp point like a toothpick and apply a tiny bit of Balm on the part. 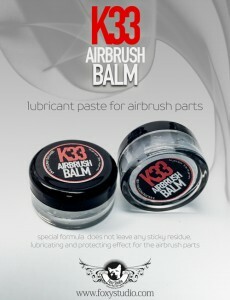 Before to apply the K33 balm the part need to be degreased, alcohol would do the job. Don’t over charge the parts with balm, it won’t be needed. A very small quantity will be more than enough. Clean and degrease the needle first. Apply a small quantity of Balm (tip of a toothpick) at one third of the needle length close to the tip. this is the point where the needle meets the o’ring packing.